Not all office chairs are created equal. Our master craftsmen have been building and designing advanced, industry-leading luxury furniture for over half a century, with quality at the front line. The unparalleled comfort and ergonomic support built into every ERA Office Chair is a result of brilliant craftsmanship that simply cannot be duplicated. 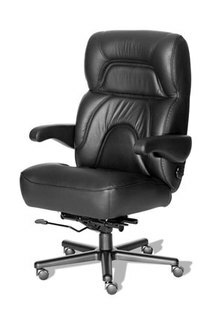 ERA Office Chairs are true luxury, executive office chairs that are unique in many ways. Each ERA Office Chair is custom built by hand in the USA, using our exclusive designs and an all- steel frame built in house. It is here that our pride of craftsmanship shines through. All ERA office chairs are centered around modern, contemporary designs and are built with comfort in mind, while also bringing you top-quality ergonomic functionality. All of our knowledge and expertise goes into each and every office chair we build. It's that unsurpassed combination of luxury, durability, and custom comfort that makes ERA Office Chairs exceptional, and allows us to confidently say that you simply won't find an office chair like an ERA Office Chair anywhere else in the world. In fact, they're more than just office chairs, they're finely-tuned pieces of modern, contemporary furniture design that fit perfectly into any office or home environment and are instantly the center of attention in any room. At ERA Office Chairs, we don't aim to just bring you a high-quality, ergonomic office chair. 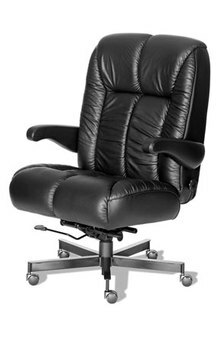 Our goal is that our office chairs deliver the comfort and support to last a lifetime. Every ERA office chair is built by hand and assembled by master craftsmen with decades of experience, which is why every chair reflects exceptional detail and pride of workmanship. Handcrafted style and modern, contemporary design make these luxurious office chairs uniquely beautiful. When it comes to rugged durability, no other chair comes close. These chairs are proven to outlast the rigors of 24/7 use environments. Each chair is built for longevity using powerful 14-gauge steel for the framework, and using only the highest quality high-resilient foam and upholstery material. We simply do not cut any corners producing our top-quality office chairs. Our chairs are not only exceptionally comfortable, they're built to last. Engineered for strength and beauty, the sturdy, all steel frame and beautiful fine-quality fabrics are made with special attention to detail. When you add in the fully adjustable and ergonomics features, these chairs are in a class by themselves.